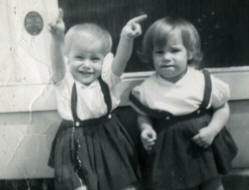 Throughout the various branches of my family, there has been a history of twins. It has frequently been said, "twinning occurs randomly and not as a genetically transmitted tendency". They might change their mind if they knew my family's history. 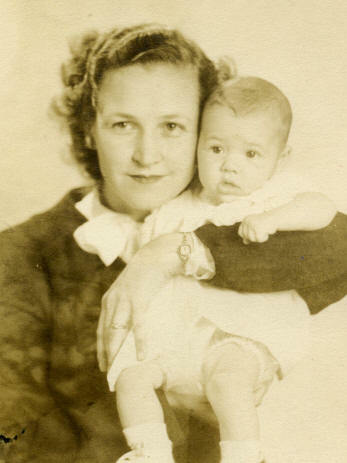 My paternal Grandma, Ida Lillian Setzer, was herself a twin - born 25 Apr 1884. Her twin brother, Ivy Lee Setzer, only lived for nine months, dying 02 Feb 1885. Ida married Alonzo Lester Loftin on 05 Nov 1904. She gave birth to fourteen children - including TWO sets of twins. 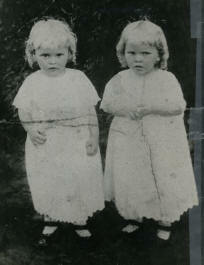 Ida's first set of twins were born 31 May 1911. Ida named them Willie Thelma Loftin and Callie Elma Loftin. Thelma never had twins - but guess what! Thelma's daughter Celia Jo Connor Peeler gave birth to a set of twin boys on 17 Aug 1958 - naming them Larry & Jerry Peeler. The coincidences don't stop there. Thelma's twin sister Elma never had twins - but guess what! 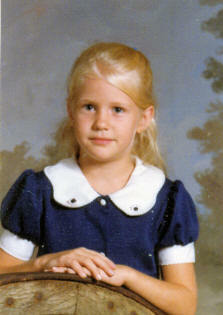 Her daughter Loretta Ann Huffman Harris Hiatt gave birth to a set of twin girls on 24 Aug 1963. Loretta named the twin girls Kelly Leah & Shelly Lynn. Research suggests that most cases of identical twinning are not caused by genetic factors. However, a few families with a larger-than-expected number of identical twins have been reported, which indicates that genetics may play a role. It is possible that genes involved in sticking cells together (cell adhesion) may contribute to identical twinning. This hypothesis has yet to be confirmed. Perhaps they should study our family. In June 2012, Callie Elma Loftin Huffman's daughter-in-law, Barbara Huffman, said that Elma told her that she had miscarried less than a month after her youngest son, Hal Davis Huffman, was born - and that she believed that Hal was a twin. Ida Setzer Loftin gave birth to a second set of twins on 06 Jun 1914, with the birth of Daisy Pearl Loftin & Daniel Paul Loftin. Unfortunately, Daniel did not live beyond his birth date. Alonzo' Loftin's brother, Arthur Lee Loftin, did not have twin children, but his daughter Helen Josephine Loftin White (b. 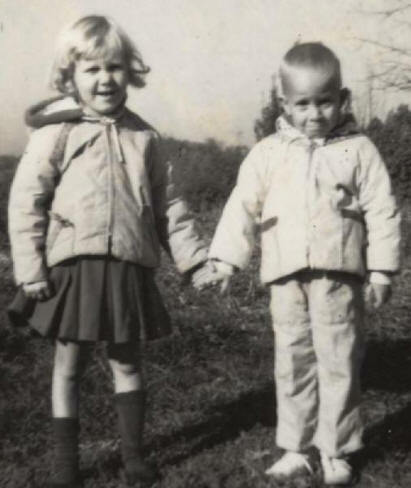 1926) had a set of twins - Phillip Alan White & Phyllis Ann White (Mills) born 20 Dec 1960. 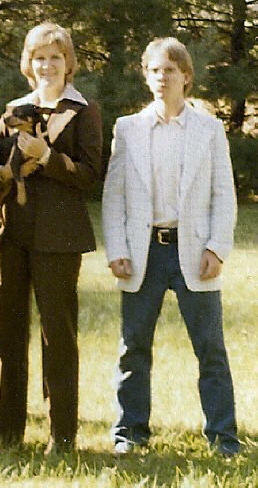 Paul Allen Loftin (son of Paul Roosevelt Loftin, grandson of Charlie Roosevelt Loftin and great grandson of Alonzo Lester Loftin) and Billie Jacquelin Jones were married 29 Mar 1968. 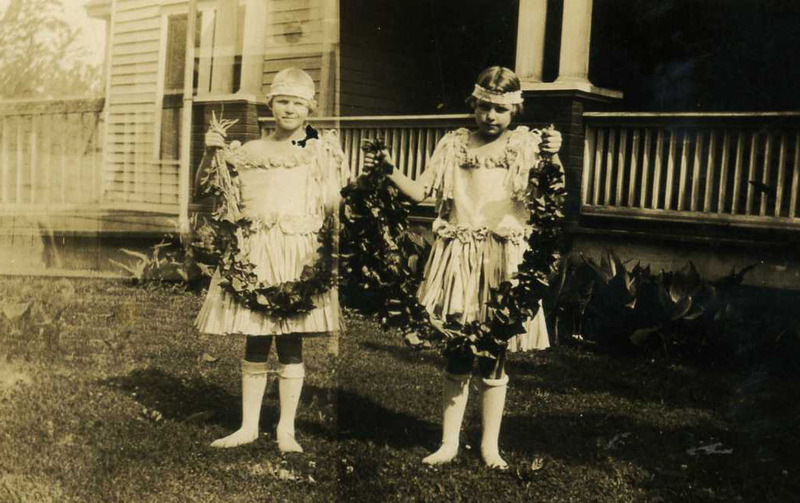 Their marriage produced four children - including a set of twins named David Allen Loftin and William Roosevelt Loftin. 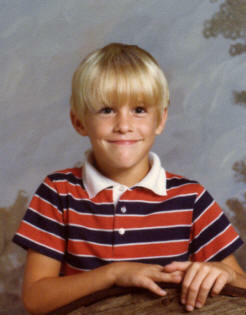 The twin boys were born 01 Aug 1971, but only David Allen survived. William Roosevelt Loftin died on his birth day. Alonzo's sister, Frances Ivey Loftin Drum, had a set of twins born 1915 but didn't survive infancy - only living 2 1/2 months. They were named Arby T. Drum and Orby G. Drum. and were born 28 Sep 1915. The great granddaughter of Elizabeth "Lizzie" Pearl Setzer Sigmon, Amy Elizabeth Christie Moody, gave birth to a set of twins on 15 Aug 1999 and named them Madison Kendal Moody and Bailey Sloan Moody. In 2011 the latest twins that connect both the LOFTIN and SETZER families are the grandsons of Charles Ray Poovey & Diane Setzer Poovey. Diane is the daughter of J.D. Setzer and Joyce Murray Setzer and the granddaughter of Sadie Elizabeth Loftin Murray Lee (Sadie was the daughter of Alonzo Lester Loftin and Ida Lillian Setzer). 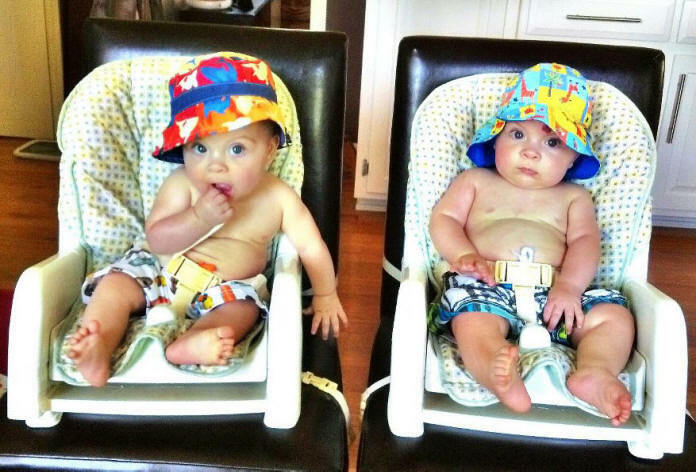 The identical twin boys were born 30 Oct 2011 to Michael Poovey & Jennifer Miller Poovey and are named Wade Emerson Poovey and Liam Harrison Poovey. John Sidney Setzer (b. 08 Nov 1841) married Elizabeth Catherine Cloninger and their marriage produced a set of twin daughters, Bertha M. Setzer (b. 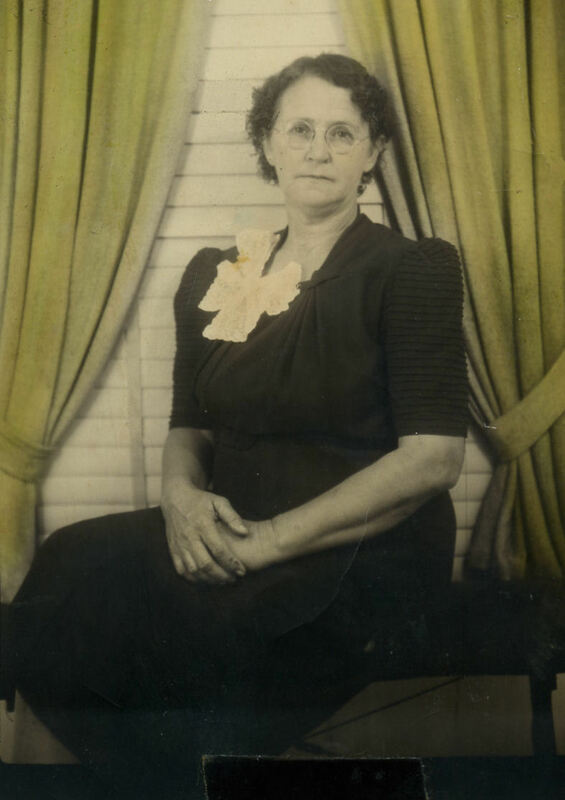 21 Aug 1885, Catawba County, NC, d. 25 Sep 1968) and Bessie C. Setzer (b. 21 Aug 1885, Catawba County, NC, d. 22 Nov 1973). 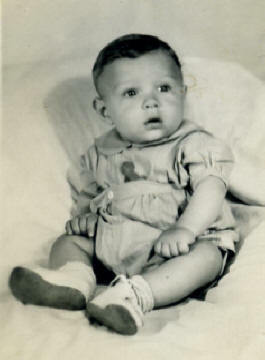 John and Elizabeth Cloninger Setzer's son, Paul Augustus Setzer (b. 21 Mar 1877, Catawba Co, NC, d. 08 Feb 1971, Catawba Co, NC), married (1st) Ettie Campbell Cooper on 06 Feb 1901. 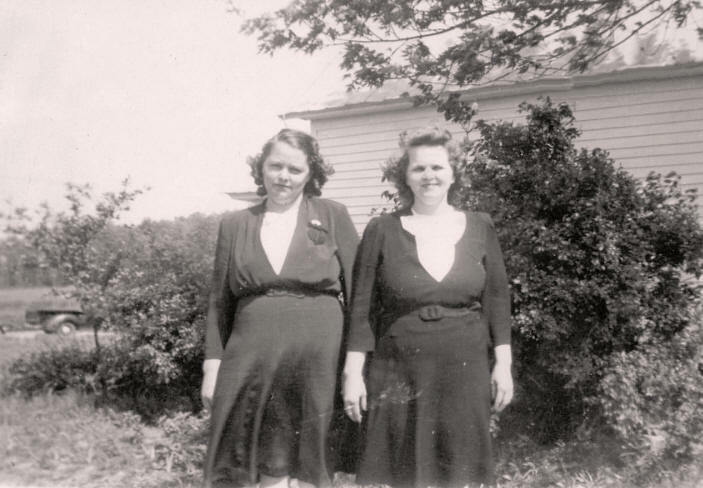 Paul Augustus and Ettie's son, William Cooper Setzer, married Mary Evelyn Lipe and their marriage produced a set of twin girls, Mary Ellen Setzer (married Garland Franklin) and Jean Carol Setzer (married Ronald Amzie Hudson). 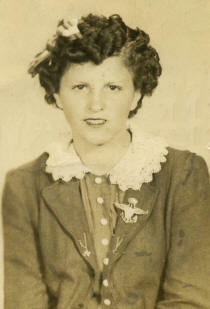 My maternal Grandma, Beulah Vernesta "Nessie" Johnson Goble, gave birth to a set of twins on 24 Nov 1928. She named the twin girls Estelene and Elgevia Goble. Estelene only lived four months and died 26 Mar 1929. Nessie's daughter Mary Helen Goble Sigmon gave birth to a set of twin boys on 05 Oct 1947 and named them Larry Eugene Sigmon and Harry Everette Sigmon. 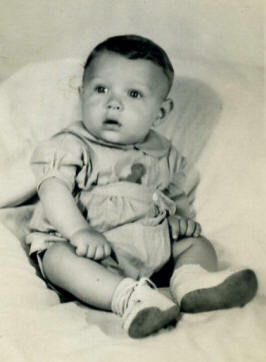 Larry died three months later on 10 Jan 1948 from whopping cough. 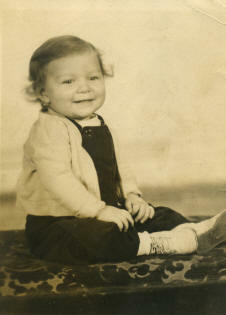 Harry accidentally hanged himself on 08 Apr 1955 at the age of seven. Nessie's granddaughter Brenda Sue Goble Isenhour Schronce gave birth to a set of twins and named them Paul & Paula Schronce. 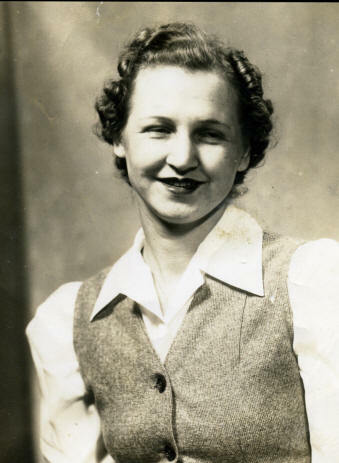 Brenda's daughter Regina married Paul Brown and adopted a set of twin girls. Samuel Ferguson Goble (b. 09 Mar 1818, d. 22 Dec 1905) married Mary Jane Anderson. She was born about 1824 and died on 02 Feb 1843, not long after giving birth to twin sons: (1) James Madison Goble and (2) John Andrew Goble. 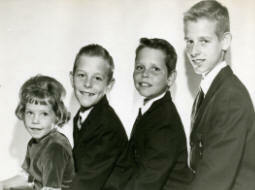 James and John married twin sisters. James married Rebecca Andrews and John married Tabitha Andrews. For more information, CLICK HERE. If you have additional information about twins born in the Loftin, Setzer, Goble or Johnson family lines, please contact me. Email me! I'd love to hear from you!